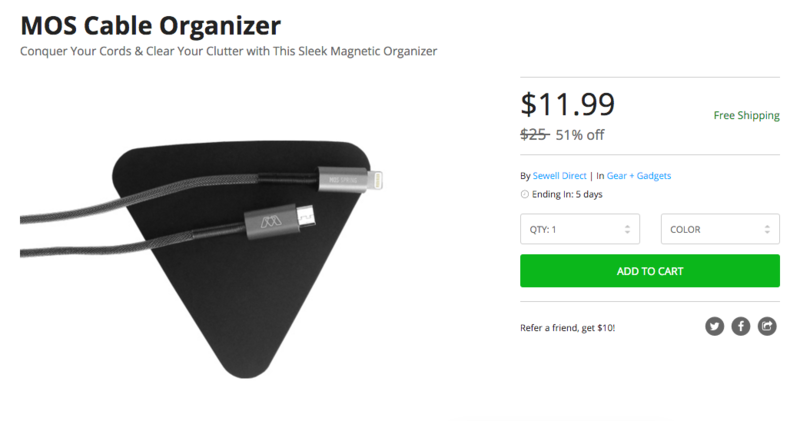 Available for only $12, you can pick up a MOS Cable Organizer from the DL Deals Store. This is down from its usual price of $25. This deal also includes free shipping. The MOS Cable Organizer allows owners to keep cables, earbuds, flash drives, and additional magnetic items all in one place. This prevents yourself from losing important items such as these. The capsule features a scratch-resistant finish, and with the added benefit of a micro suction-padded bottom, you can attach it stealthily to your workspace. If you suffer from a messy and tangled desk, then the MOS Cable Organizer could do the trick quite nicely for you. If interested, follow the link below.